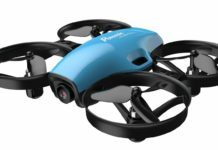 Parrot drone maker has really done an amazing job of coming up with inexpensive mini drones that are easy and fun to fly. Thus, your search for the best mini drone for beginners stops here. The Parrot Mambo is one of their best toy drones. 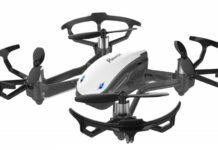 It is a quadcopter-style drone, and does not promise anything more than just fun. However, it has quite a good number of features and many people fall in love with it on their first flight experience. This drone is not your usual standard mini-drone; it sets the bar a bit higher. First, it is designed around the idea of ease in flying. Second, it is equipped with various features and accessories that bring flight with pure fun and thrill. There are so many good things about this mini drone. One of those features is the grabber, which may not be able to lift much weight but hey, it is something. Other mini drones do not have this feature. You will also love the fact that you can fire miniature fireballs while the drone is in the sky. The only problem is the small payload that it can fly with and the fireballs will be hard to find once fired. Again, this is a small feature, but not many mini drones come with it. 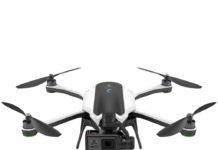 Here is a detailed look at some of the features that make the Parrot Mambo drone a must-have for drone enthusiasts. Just like most of the mini drones, the Parrot Mambo comes in a compact and lightweight design. This makes it perfect for indoor flights. It is small such that it can comfortably on your palm. Weighing a paltry 63 g, it is so light in weight you will barely feel its weight on your hand. It measures 5.2 by 5.2 inches, small enough to carry in your jacket pocket without feeling the weight. Despite its lightweight design, the frame is sturdy, with good build quality. This makes the drone quite resilient. 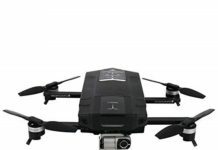 If you miss something when doing a roll or a flip, this drone can take the crash like a big boy and still come out intact. The overall design is pretty standard. The only notable features are the grappling claw and the Lego-like studs at the top where various accessories are attached. When the package is shipped to you, it will contain the drone itself, a controller and a user manual. The Parrot Mambo comes fully assembled, so that you can enjoy your first flight seconds after taking it out of the box. The propeller guards are already installed. All you need to do is just insert the battery, attach the camera and you are good to fly. It is a tiny wee bit 0.3MP camera. It does not take good quality photos, but again, this drone does not promise that you will have incredible footage. 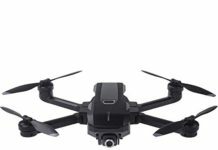 It is just a fun drone and we do not know whether the camera shoots videos. It is positioned at the bottom, interesting because many drones have their cameras in the nose. The internal storage is 1GB and there is no microSD card slot. Thus, you cannot expand the memory, but then you will also not need any more memory. You can control the drone through your smart phone. You will need to install the drone’s app on your smart phone. This app works with Android and iOS. The Mambo Parrot uses a 550 mAh battery. It gives you 9 minutes of continuous flight time. Luckily, the battery takes only thirty minutes to be fully charged, which means fewer delays between flights. However, you can extend the flight time by getting your drone an extra battery. Regarding the flight performance of this drone, it is a delight to fly. It has a small learning curve that makes even the novice pilots enjoy the experience within the first few minutes. You can control the drone by using the smart phone app or via the controller included in the package. The Parrot Mambo drone can be equipped with accessories that allow you to enjoy just more than an average flight. The grabber claw allows you to move lightweight objects (up to 4g) through the air and drop them at your preferred location. You can surprise your loved one with a romantic note or a birthday wish. However, please note that the grabber does not grab items when the drone is flying. This drone is able to perform various flips and acrobatic tricks while on flight. The Parrot Mambo is also equipped with high-tech sensors that ensure maximum stability of your drone while on flight. The autopilot functionality also ensures that it remains stable in the air even when you release the controls. For safety, the Parrot Mambo comes with an automatic shutdown functionality, which stops the motors from rotating in case of collision or a crash. The two joysticks are very responsive. It also has several buttons that allow you to execute different commands such as take off, landing, flips and so on. The controller has a stand for your smartphone. However, the flight range for the smartphone is only 20 meters. With controller, the flight range is bigger at 65 meters. Who Should Buy Parrot Mambo? 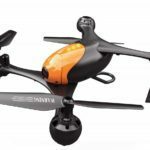 The Parrot Mambo is a perfect purchase for drone lovers who might be looking for a beginner drone that does more than just fly. 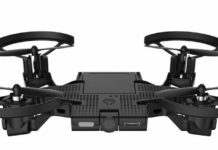 It is ideal for people that want to have a thrill with their mini drones. 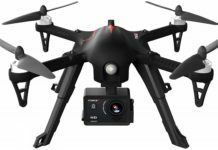 It is also perfect for novice pilots who are looking for drones with a small learning curve. 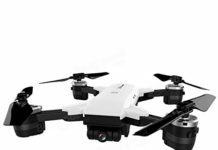 If you are limited of space but you love drones, the Parrot Mambo is still a great choice. It performs incredibly well even in enclosed spaces. 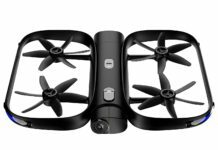 The Parrot Mambo is a robust, versatile and extremely easy-to-fly drone. It comes with extra features that are not common in most mini-drones. This little buddy will give you good value for money thanks to its package of features. Although it is far from perfect, it is worth investing in. It is the best mini drone for beginners to introduce yourself into the world or drones.